Something unexpected happened to Mandy Vining on her way to veterinary school. While working toward a bachelor’s degree in animal science at the University of Wyoming, Mandy decided to accept an internship with a pet groomer in Lusk, mainly as a way to bolster her credentials before applying to veterinary school. But it didn’t take long for her to decide that she would be happier working with healthy pets rather than sick or injured animals. “I was there for a week and fell in love with it,” she recalled. So Mandy began washing dogs at her house. She announced the service on her Facebook page and also indicated that she would be attending grooming school at Classy Pup in Loveland, Colo. A woman who owned a Cheyenne grooming shop saw the post and asked Mandy if might want to purchase her business.  So Mandy contacted John Privette, the Wyoming Small Business Development Center Network’s regional director for Laramie and Goshen counties, regarding how she might best evaluate and potentially purchase the shop. Mandy started grooming school in January 2016. A month later, she bought selected assets from the previous business and FURever Friends Pet Bathing and Grooming Salon became a reality. Mandy thus became part of a U.S. pet grooming and boarding industry that racked up sales of $5.41 billion in 2015, according to the American Pet Products Association. 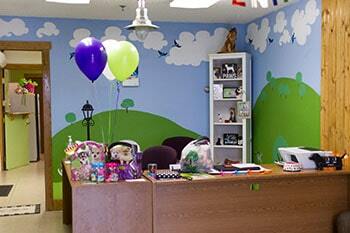 FURever Friends, located in the Asher Building in downtown Cheyenne, is like a full-service beauty salon for dogs. During a session, a canine’s hair might be cut and styled, followed by a sudsy bath and good teeth brushing. A dog’s nails also can be trimmed and even polished if the pet owner so desires. Mandy offers a self-service washing option for people who want to bathe their pets themselves. 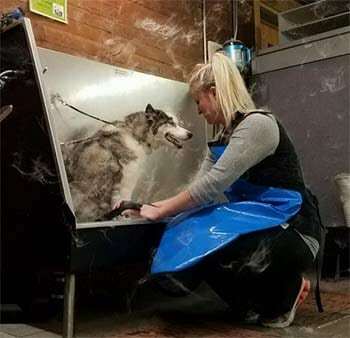 “A lot of dogs don’t need to be fully groomed, but at the same time, people don’t want to do it at home because it makes a big mess,” she said. Four stainless tubs, including a large walk-in unit, can accommodate dogs ranging in size from Chihuahuas to St. Bernards. Pet owner Charity Moore appreciates the convenience of being able to give her bulldog Bama a bath at FURever Friends without the fuss of doing it at home. “I really like going there,” she said. Clients receive shampoo and brushes for soaping up canines. The water sprayers allow for quick washing. The tubs are equipped with slip resist mats and restraint collars to position dogs optimally. Along with fresh towels for owners who wash their pets, dogs are rewarded with a Milkbone biscuit at the end of their experience. And the staff takes care of the clean-up. Mandy credits much of her success to staff members Krista Rutmanis, who has been grooming for 10 years, and Ami Foster and Dani Honn, each with three years’ experience. “They have been mentors with grooming on top of business stuff,” she said. Terry Reilly takes all three of her dogs to FURever Friends. Her two small dogs, a Shih Tzu and a Chihuahua mix, go in for grooming, which includes haircuts and baths. Terry washes her pit bull by herself, with a little assistance from the staff. Terry especially appreciates the fast service. 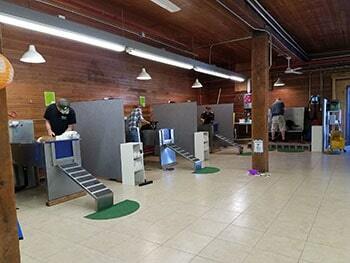 While some groomers keep the dogs all day, Mandy and staff “get them done and call like within two and a half hours. They’re done and dried and ready to go,” she said. Michelle Tsukas brings in her two small dogs every six weeks or so for haircuts, baths, and nail trimming. “It’s always clean, and it’s so dog-friendly,” she said. 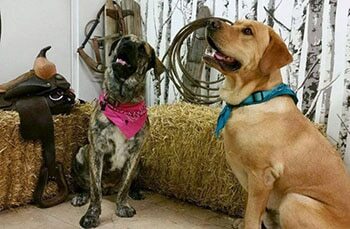 Mandy also holds fun events like canine costume contests at Halloween and taking photographs of dogs sitting on a saddle during Cheyenne Frontier Days. “I love her, and I wouldn’t take my dogs anyplace else,” Michelle said.